Torrevieja Villas are 2 lovely, spacious, newly built 3 bedroom townhouses next door to each other. Each sleeps up to 8 (or 16 for both). They can be rented together or separately. the cave house consists of 3 bedrooms,1 bathroom, large kitchen,dinning area and large lounge. Villa with 2 Bedrooms, Private Pool and sun terraces. Detached new villa in a tranquil location, with its own private pool, nestling in a hillside with views over the village to a beautiful unspoilt mountain range. Set in two and a half acres of young olives and fruit trees, Luz de Luna Retreat has views of the Cabrera mountains and yet is only 10-15 minutes from several golf course and stunning beaches on the Mediterranean sea. Three bedroom villa with private pool in quiet location in Tolox on the edge of the Sierra de la Nieves National Park 45 minutes from Malaga airport. Enchanting rural Andalucian Farmhouse that has been divided into a huge 3 bed Farmhouse, a 2 bed apartment, a Studio. It can be rented as one property (sleeps up to 18) or each unit individually. The Cortijo is in acres of olives with a huge pool. Villa El Mirador is a beautiful detached villa, which offers uninterrupted sea views. Located in the La Siesta area of Javea with a supermarket, tapas bar, tennis courts and a couple of restaurants within walking distance. Beautiful holiday villa with private pool and sea view. Nestling in the scented pine and oak clad hills is this superb villa that has been completely refurbished in June and July 2006. This included new high spec. fixtures and fittings and furniture. It also has a double garage. Beautiful 3 bedroom 2 bathroom semidetached house on private development with big communal pool, gardens, 2 paddle tennis courts and children´s play area. 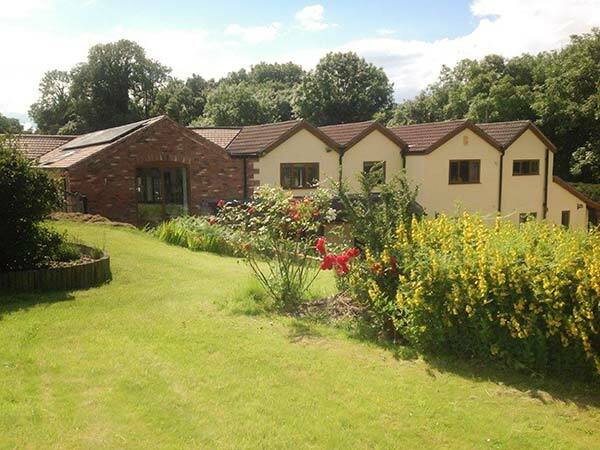 Annex of beautiful country house used for small group walking holidays. Set in large gardens with pool overlooking valley. Only 5 mins walk to centre of Orgiva. Separate entrance from shady courtyard with table and barbeque. This superb semi-detached cottage is situated three miles from Alfreton in Derbyshire and sleeps four people in two bedrooms. Set amidst the mountains of the Subettica Sierra this stunning villa is paradise found for couples who wish to escape the crowds. Countryside location yet only 2 mins by car or 10 min walk to the beautiful Baroque town of Priego de Cordoba. Our luxury villa is located to tour all the cities Malaga,Granada,Cordoba,Malaga and Ronda.There is a heated pool,jacuzzi,large games area and has disabled facilities.Also free wifi and sky sports.Groups up to 20,we cater for special occasion! 100% return bookings at idlebreaks,4 selfcontained individual apartments ,ownprivate 25m heated pool, jacuzzi and poolside TV lounge .Secluded beauty spot,35 mins from airport. Frigiliana is extraordinary beautiful. Proud Winner of the ´ Prettiest Village in Spain´ - contest, Frigiliana is pure andalusian magic with his narrow cobblestone streets and alleys and whitewashed houses. The lifestyle is definately mediterranean. This villa has 4 bedrooms and 3 bathrooms a private pool, separate dining room with stunning sea and mountain views. A well equipped kitchen, terrace for dining outside, comfortable lounge with Spanish and Sky TV. 3 bed airconditioned villa, front line golf course position on 5* Polaris World resort. Spacious, with private pool and lovely views. Prime, quiet location on resort, 2 min stroll to restaurants, bar, spa, golf club and 1st tee. Sky TV. Credit Cards. Large 3 bedroom villa with spectacular views of the mountains/valley. First floor has large airy lounge/dining room, TV/DVD, modern kitchen, twin bedroom with double wardrobes, toilet and shower room, utility room, lovely gardens to front and rear. Second floor has 2 double bedrooms each with double wardrobes, bathroom/wc/sink/shower over bath. balcony. Sleeps 6. 3 bedroom, 2 bathroom Villa Cabrera. Stunning mountain views. There is a large terrace and a 10x5m heated swimming pool with built in jacuzzi. The property normally doesn't need air-con but portable units are provided for high summer. Local bars, restaurants and shops 10 mins away in the stunning whitewashed mountain village of Bedar. Local beaches just 30 mins away. Beautiful 2 bed, 2 bath, 65qm terrace penthouse, with fantastic views to the ocean, 5 mins drive to the beach, walking distance to shops and restaurants. Villa Las Golandrinas offers a perfect getaway for a group of friends and family who want to enjoy the Costa Blanca from a private and secluded base. Gourmet dining and a stunning location will make this the perfect holiday. Situated just a few minutes from the coastal town of Nerja. Views to the mediterranean and the mountains. Note: Prices are for the main villa, a supplement is charged for the two bedroom apartment 400/500 per week. A huge terrace in the city centre facing the skyline of the catalan capital. The best place to relax being near Plaza Catalunya and the Paseig de Gracia. Apartment for 6 guests. Modern newly-built spacious comfortable 2 bedroom 2 bathroom apartment with a large balcony on a hillside overlooking the village of Albunol set in a valley leading to the sea and surrounded by colourful hills. Jupiter - Modern fully equipped studio,which can sleep 3,in the very popular area of Benalmadena Costa. Smoking allowed on terrace only,please. Two double bedroom/two bathroom spacious flat. 5 minutes walk from Torremolinos beach, includes terrace with beautiful sea views. This Property beautifully appointed & furnished to the highest standards throughout. Features include marble floors, under floor heating in both bathrooms, climate control air conditioning and heating. A spacious terrace and secure garden area .